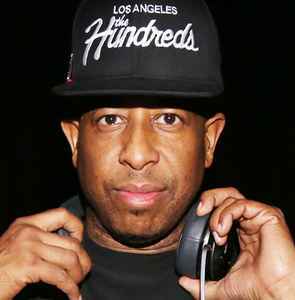 DJ Premier had been working with other vocalists for years, and his productions for the 1990 landmark Funky Technician by Lord Finesse and DJ Mike Smooth cemented his status as one of the best producers around. He soon began recording exclusively at D&D Studios, a spot soon to become a shrine for hip-hop fans (thanks in large part to his own work). The year 1994 was a huge one for Premier, probably the best year for any rap producer ever; in addition to dropping another Gang Starr classic, Hard to Earn, his productions appeared on five-star, all-time classics by Nas (Illmatic), the Notorious B.I.G. (Ready to Die), and Jeru the Damaja (The Sun Rises in the East), as well as Big Daddy Kane and Branford Marsalis' Buckshot LeFonque project. Though his workload dropped off considerably during the late '90s, he still managed to place tracks on three of the first four Jay-Z albums, and returned in force with the new millennium, including shots with Common, D.I.T.C., D'Angelo, Jadakiss, and Snoop Dogg. Anybody wanna underline the artists - feel free. Add NYG'z - Giantz Ta This to the list. I love YaBB 1 Final! is the list taken from http://mihau.de/gangstarr ? do u know if he produced Masta Ace Incorporated - Saturday Night Live? ^^ might be, not sure..
X-Ecutioners-DJ Premier is in deep concentration. "Now you're facing me, I'm your ultimate challenger. It's the avenger, your fate is on my calendar"-Guru from "So What's Up"
Plus I think there were a couple of other tracks on that 12" produced by Premier, have to dig it out to check though. Jome, unless you update this soon, I'm probably gonna take it over. "Here Today Gone Tomorrow" was produced by D/R Period. aint that proof track just a freestyle over another primo beat? nope, hi tek did it. Page created in 0.591 seconds with 23 queries.